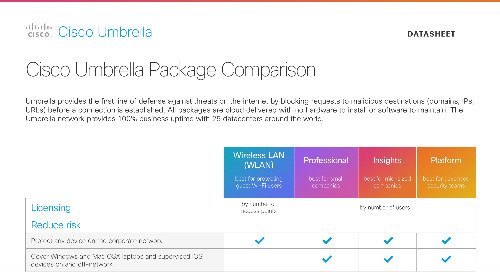 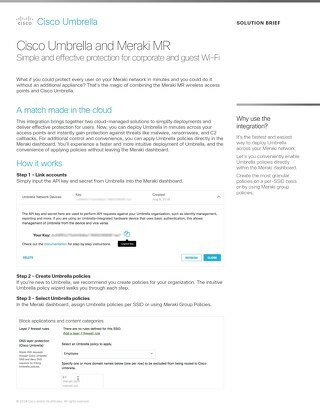 Protect every user on your Meraki network in minutes, without an additional appliance. 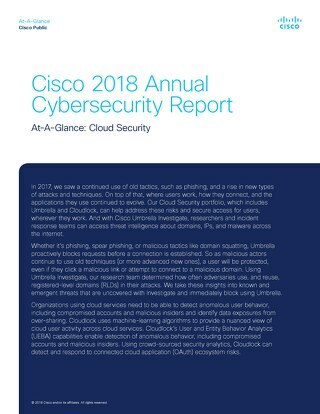 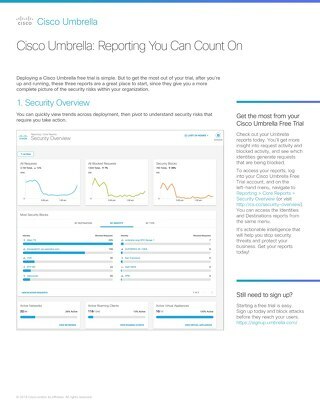 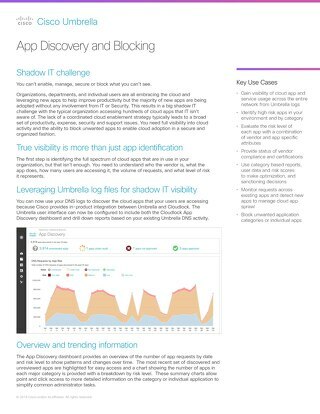 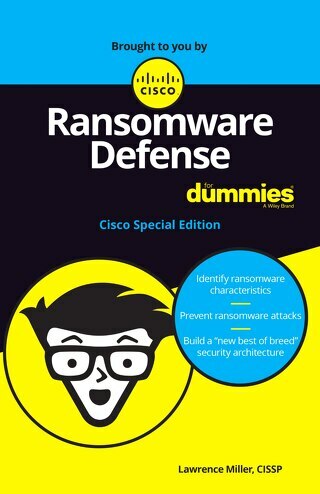 The Cisco 2018 Annual Cybersecurity Report for Cloud Security examines the techniques and strategies that adversaries use to break through defenses and evade detection. 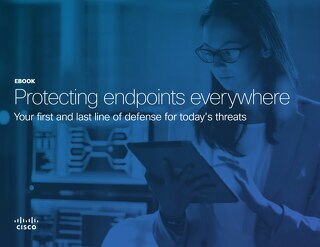 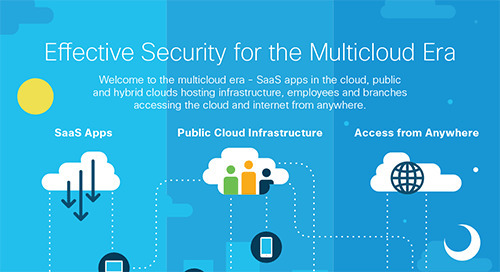 See what motivates an attacker to target the cloud, and why enterprises need to adopt cloud security to protect users wherever they go. 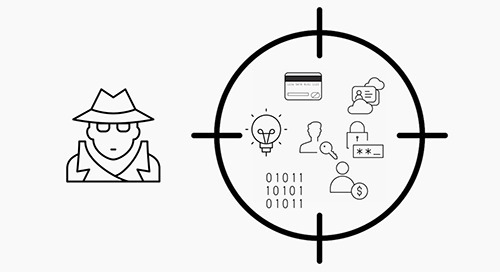 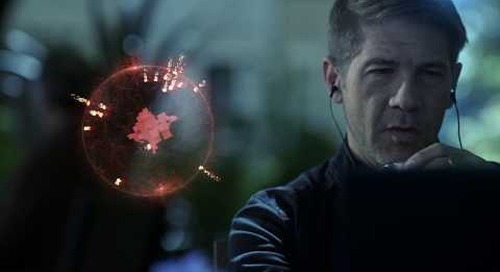 See how an effective ransomware attack comes together. 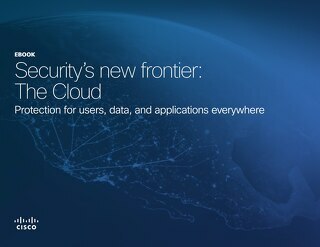 This is why today's enterprises require effective security. 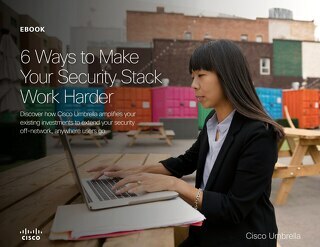 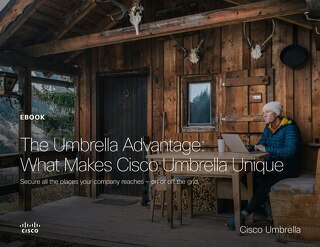 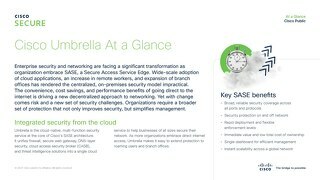 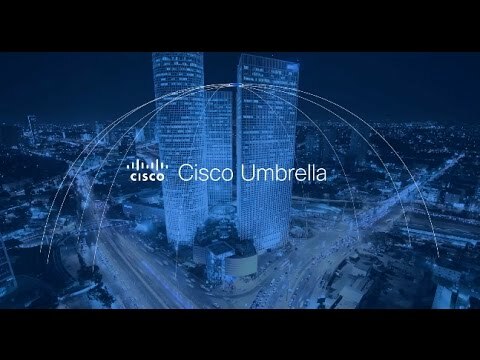 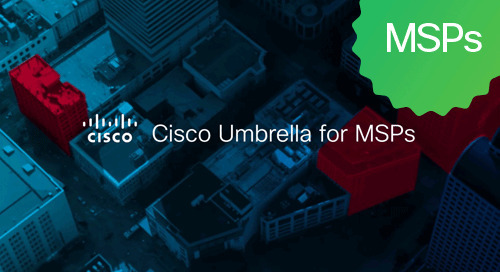 Hear how Yelp built automation into the company's security practice with Cisco Umbrella. 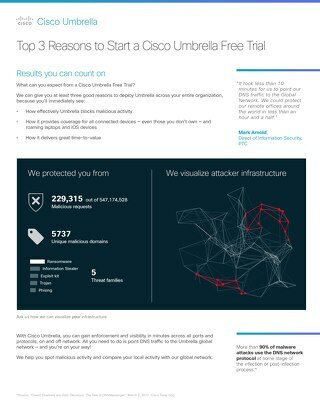 A retrospective analysis of what we’ve observed during the first critical hours of the WannaCry ransomware attack.